Matthew Ho comes to our stage after having performed as a Rising Star recitalist during the 2018 Basically Beethoven Festival. Of course, he hasn’t been idle since July! 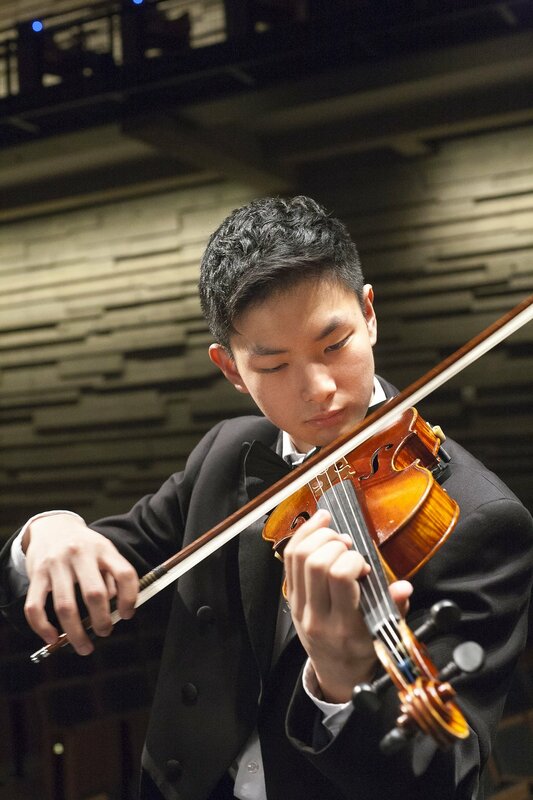 In fact, Matthew is one of the finalists of the Lynn Harrell Concerto Competition sponsored by the Dallas Symphony Orchestra. Beyond the stage, Matthew is a high school student and competitive ice skater. (No, we don’t know how he does it all, either!) 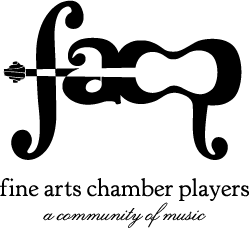 FACP is thrilled to have Matthew perform this Saturday with pianist Yurie Iwasaki at the Charles Barr Memorial concert. What piece on the program are you most looking forward to sharing with our audience, and why? I am very excited about this program. It has many great pieces from composition, violin performance, and listening points of view. If I had to pick one, I would say “Nightclub 1960” by Astor Piazzolla. This nuevo tango includes a section of interesting percussion sounds. I had to practice it quite a bit and consult a friend who is now attending Juilliard. My teacher has confirmed, I am doing it just right! I hope you all will find it as surprising as I did when I first heard it. In addition to being an accomplished musician, you’re a competitive ice skater. Can you tell us more about that? Yes, I have had been ice skating since I was very young. I started at a mall rink and now skate regularly at Farmers Branch Children’s Health rink. I am working on my triple jumps right now and have been doing pairs skating for two years now. My pairs team was ranked 6th place in Juvenile Pairs at the 2019 Geico USFS National Championships at Detroit this past January. It was a great experience to compete at Nationals. We hope to do it again this coming year. What’s your typical daily schedule to fit in all you have to do? My daily schedule changes from day to day. During weekdays, it usually starts around 6:45am so I can get to school. School runs from 8 a.m. – 3 or 4 p.m. I then rush to my various after school activities such as ice skating, violin lessons, or rehearsals. Like many of my classmates, I don’t get home until almost 7:00! I quickly take a shower, have dinner, and then start homework and practice violin. The nights are usually long. On Saturdays, I wake up even earlier for ice skating training. How do you unwind? Hmm…sleep is good. Watching TV, texting my friends, and day dreaming are all great – if I have the time. What kind of music do you like to listen to? I like to listen to classical music and some pop music. Recently, I have liked songs by Ed Sheeran, Shawn Mendes, and some Asian pop songs. Who’s your favorite composer to listen to? To play? My favorite composer changes depending on my mood and what I am playing at the time. If I had to pick one right now, I probably would choose Astor Piazzolla. Not only will I be performing it in my Saturday program, I also recently performed one of his trios at my school. His music is interesting to listen to and play. What do you plan to do after high school graduation in a few years? Will you continue studying music in college? After high school graduation, I hope to take a relaxing vacation and maybe have a concert tour (this is a big maybe). I do hope I will have been accepted to one of my dream colleges. Yes, I am planning on continuing my music education in college. What’s your favorite sound? Least favorite sound? My favorite sounds change often, from the lyrical, soothing sound of a violin to just white noise. Right now, I think the light tapping of rain sounds quite soothing. My least favorite sound would probably be scratching, like nails scratching on a chalkboard.